I've stated in previous posts the power that accessorizing has. The simplest outfit can give a 360º turn by adding the right accessories. This is where Boticca comes in. 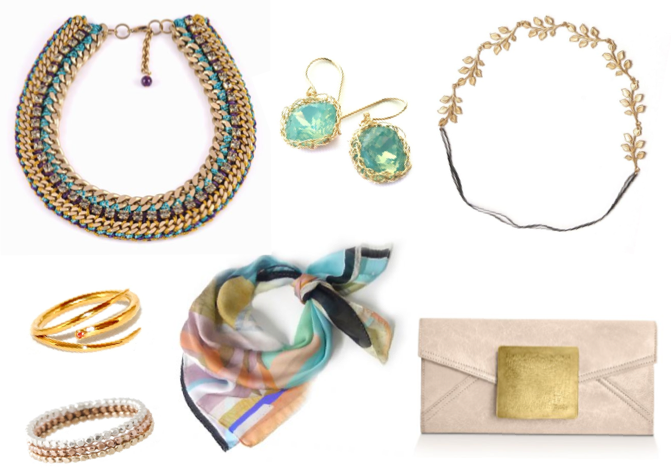 Boticca is an online marketplace known for its gigantic range of top independent designers' collections of jewelry, handbags, and other fashion accessories. Their very unique pieces have been worn by celebrities like Victoria Beckham, Pippa Middleton, Blake Lively, Eva Longoria, Kourtney Kardashian, and Olivia Palermo. The magic behind Boticca lies in offering over 6,800 unique products for every style, occasion, and price range, and with new added designers every week. They promote real fashion inspiration making it easy for costumers to find rare, unique, and beautiful pieces with a cultural story from any place in the world. Everything found at Boticca is a true inspiration for fashion worldwide, so begin your shopping experience for new emerging designers' pieces and get a 10% off your first order! *All images were taken from boticca.com.